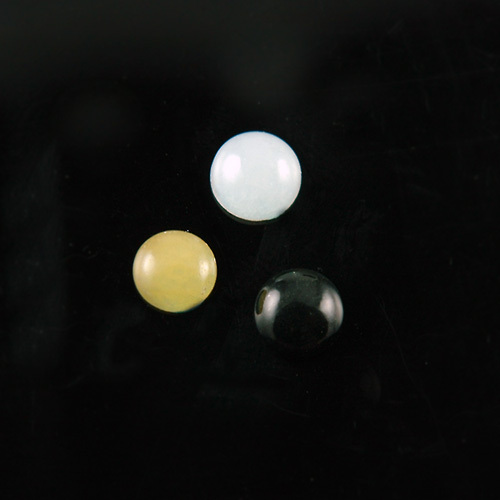 Misc Prop: The gemstone jade, is actually two different minerals that look very similar and have similar physical properties. 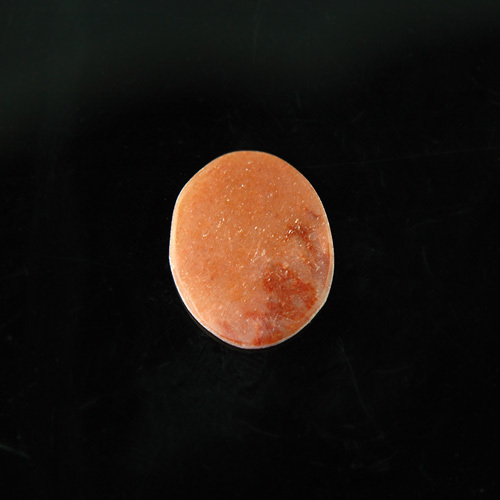 It was used in prehistoric times for buttons, beads, and tubes. It was also used in axe heads, knives, and other tools. 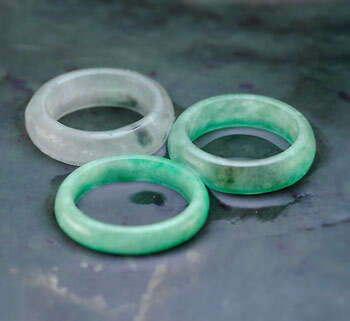 Jadeite is the far more rare variety and comes in virtually all colors. Blue, lavender, red, green, pink, yellow, white and black. 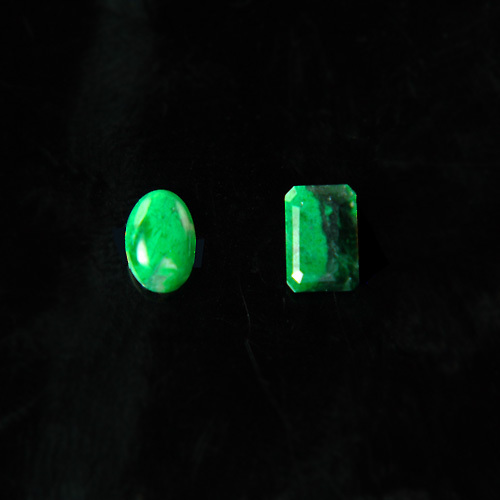 The bright translucent green is considered the best, and sometimes called "apple green". The rarest and often most expensive is the translucent red jade. Today the best sources are Burma and Guatemala. 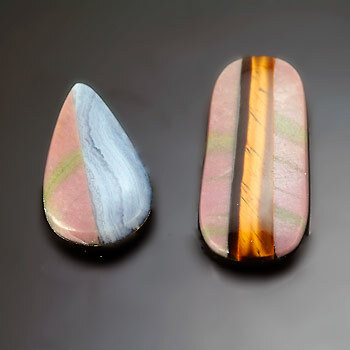 Nephrite comes in far fewer colors, green, white and black the predominant ones. It is far less rare and found in many locales. Large deposits exist in the north america, especially Canada, Alaska, California, and Wyoming. The white variety often has translucent and nearly transparent areas mottled throughout and is sometimes called "mutton-fat" jade. Because it has a tough nature, it can be carved into intricate shapes and is not prone to breakage. Hence small pendants and amulets with very fine detail are often available.